NPL Wide Bay is offering you a trip of a life time to the World Series of Poker! 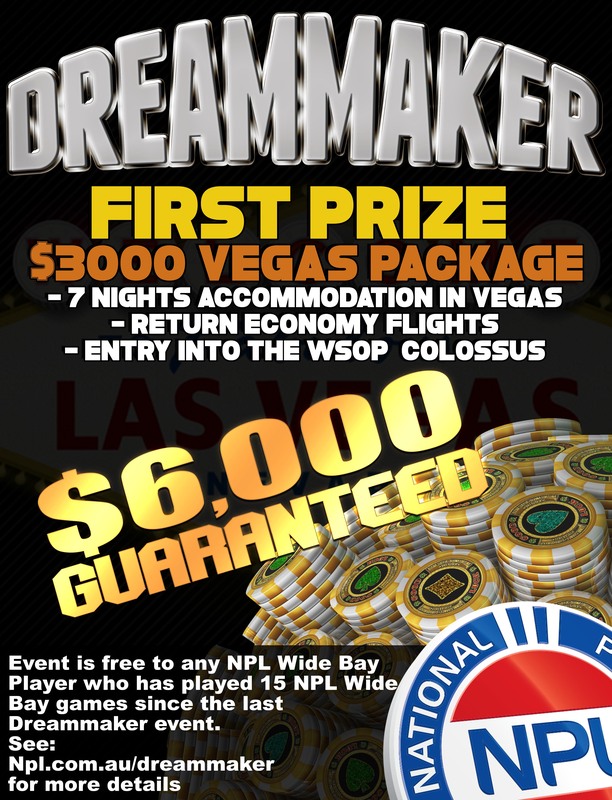 Just play 15 NPL Wide Bay games from the set time period to qualify for the DreamMaker Freeroll! The DreamMaker Freeroll has a massive $6,000 GTD prizepool each event which includes a $3,000 Trip to Vegas! The best way to qualify is by playing 15 games in the NPL Wide Bay region in the above qualifying dates.